Celiac disease is relatively common. According to the Celiac Disease Foundation, the autoimmune disorder affects 1 in 100 people worldwide. The good news is, the condition is relatively manageable; those living with celiac are simply advised to avoid gluten. However, those with the disease may soon have an alternative treatment: a new vaccine is currently undergoing testing, and if approved, it would enable those with celiac to eat the wheat protein. The vaccine, called Nexvax2, was created by ImmusanT — a company that develops therapeutic vaccines for those living with autoimmune diseases, like celiac disease. But how does Nexvax2 work? According to ImmusanT, the vaccine stops the body from having an inflammatory response when one consumes gluten. Nexvax2 was first tested in 2011 and was deemed "safe and tolerable at therapeutically-relevant dose levels," according to the company that makes it. 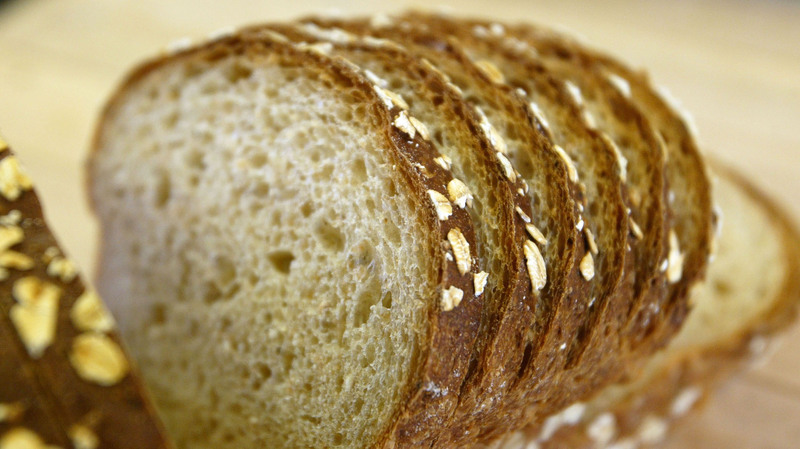 Now, Nexvax2 will be undergoing phase-two testing, which "evaluates the safety and efficacy of Nexvax2 as a method to protect patients against the effects of gluten exposure." Dr. Jason Tye-Din, the head of celiac research and gastroenterologist at the Royal Melbourne Hospital, told the Sydney Morning Herald, "[T]he vaccine is designed to target the 90 per cent of celiac disease patients with the HLA-DQ2 genetic form of disease. A successful therapy that can restore normal gluten tolerance would revolutionize coeliac disease management." That said, Nexvax2 will not immediately solve one's gluten intolerance; rather, the vaccine will slowly build immunity to the proteins in gluten — thus ending the negative side effects. There is no timeline for when this vaccine may be available; however, phase two of the trials will follow patients for no less than 12 consecutive months.